Moving between homes or offices is a stressful task and usually requires many hands on deck. From the planning and packing phase to the loading, off loading and unpacking phase there is a lot of work that needs to be done, especially if you’ve been occupying one space for many years. 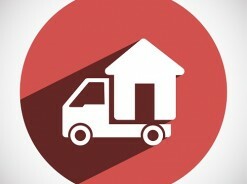 If you have accumulated many belongings over time, the moving process probably requires more than a few strong men. There are various tools and equipment available to ease the load and guarantee a stress-free move. It is a given that you’ll need boxes for a move, it’s often the first thing you think about. However, flimsy, over-used boxes won’t make the cut. 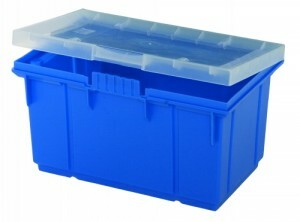 You need strong boxes that are designed to withstand a heavy load. Along with the boxes, you’ll need tape strong enough to close the lids. What’s the point in carrying boxes when there is a fear that the flaps may give way at the bottom? Rather spend a bit extra on getting hardy moving boxes that you can fill to capacity, as opposed to using flimsy boxes and filling them half way to avoid them breaking. Believe it or not, there are various styles of blankets you can use to assist with your move. Moving blankets or padding don’t necessarily make the physical move easier but will make your life easier by protecting your valuable belongings from any dust or damage. By placing a blanket over items such as the fridge, cabinet or dining room table for example, there will be an added layer of protection to ensure no denting or piercing, which can incur an unnecessary cost. You can also use it on couches and mattresses to prevent dust or dirt from settling, and help avoid damage that can occur in transportation. It will also save your cleaning and vacuuming time. Relying on the use of a utility dolly is one of the smartest decisions a mover can make. It is an essential moving accessory when it comes to shifting heavy belongings such as antique furniture, freezers or fridges. A dolly is a wide, low-lying platform usually made of strong wood or steel that is mounted on four wheels, making it easy to roll heavy objects around. Most dollies also have a grip surface that guarantees non-slip movement and prevents accidents from occurring during the move. All it requires is that the heavy object is lifted onto the platform, then you can push or pull freely without using a great deal of strength. This piece of equipment is almost as obvious as boxes. 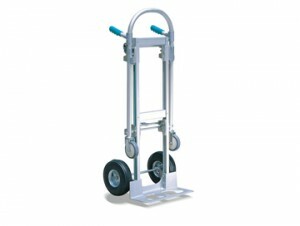 Hand trucks are available in different durability strengths to suit various moving weights. If you are moving mainly boxes then an entry-level hand truck is sufficient. You will be able to stack three or four boxes on top of each other and manoeuvre it seamlessly to different areas. Made of steel, you can also use it to move heavy appliances like fridges and washing machines. It works with a tilting frame motion that rests on two wheels when in motion. Your move will be hard work without it. One of the most unknown items on the list is moving straps. It is affordable, which makes it a perfect option if you’re on a budget. Moving straps require the use of two people, and are designed to fit around each person’s shoulders, with the straps in the middle carrying the weight of a box or furniture. It is especially useful to use when having to carry loads up and down stairs, or around tight corners. It helps by distributing the weight of the item evenly, and since the straps in the middle carry some of the weight, the item actually feels lighter. For more information about moving equipment, contact Easyroll Materials Handling.